Development of 'Legendary Backstory' Tumblr for Legendary Entertainment. 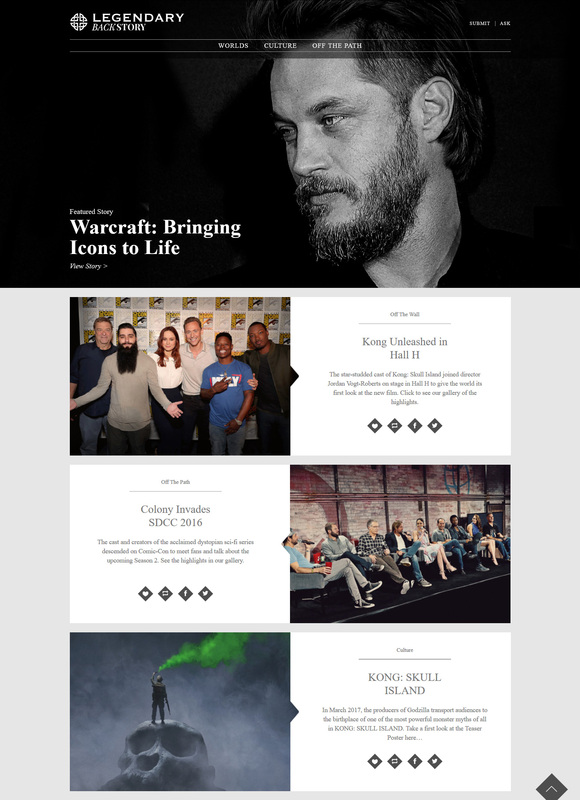 A new-look Tumblr for Legendary Entertainment and their legion of friends, fans and followers. We’ve worked on some big releases over the years bearing the name of Legendary Entertainment , so it was no-brainer when we spied the opportunity to help their London office roll-out Legendary Backstory, an ambitious redesign of their official Tumblr. Working with designs and a detailed functional spec provided at the top of the project, we developed a bespoke theme pushing Tumblr to its customisable limit, pulling it all together just in time to make a giant gorilla-shaped impression at San Diego Comic-Con 2016.